In this issue we cover FOUR BIG SHOWS! 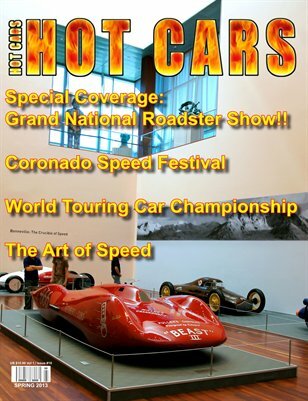 The Grand National Roadster Show, The Coronado Festival of Speed, The World Touring Car Championship, and our cover story; The Art of Speed exhibit from the Utah Museum of Modern Art. Plus we visit Sanderson Headers to see how headers are built.